The tides wait for no one, ebbing and flowing in eternal beauty. 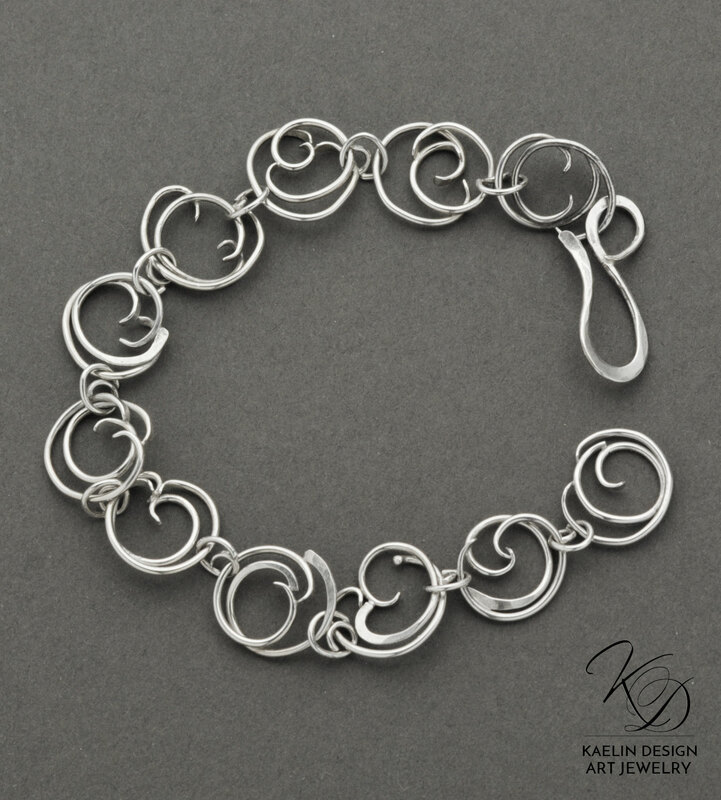 Each wave in this hand forged silver bracelet is an ephemeral moment of uniquity, inspired by the irresistible forces in life. Like the never-ending tides and ocean currents, they guide and pull us through our daily lives. Time and circumstance flows on. Each precious moment becomes a memory, framed by the currents of life. Each link is approximately a 0.5 inch in diameter, with a total bracelet length of approximately 7.5 inches, including the hook and loop clasp.